To describe this technique, she first explained how female photographers tend to focus on intimate moments, whereas male photographers commonly depict larger scenes. According to Jansen, her “intimate immensities” technique fuses the two perspectives together to portray intimate moments through a broad lens. Catherine Jansen, Pony Boy, 2011. 41 x 63 in. Archival inkjet print. 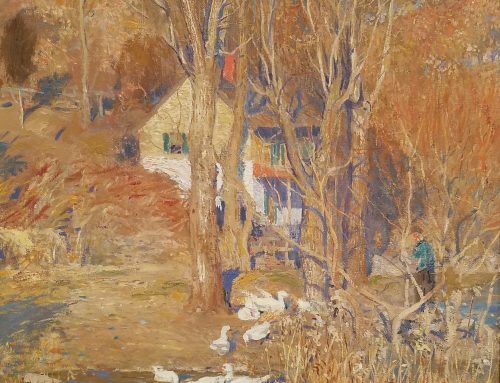 James A. Michener Art Museum. Gift of the artist in honor of Bruce Katsiff, Director 1989-2012. This unique method builds upon her second technique which characterizes the differences between a photographic lens and the human eye. Since cameras fail to capture images the way the human eye does, Jansen created a process that merges the technology of the camera with the perception of the human eye. Instead of taking one photograph, Jansen takes many photos of the same event, which she later pieces together using Photoshop. With this process, Jansen mimics the depth and perception peculiar to the human eye while also producing a photo with extraordinary detail. During her talk, Jansen shared several images and videos from her project entitled 1008, which showcases her photography from more than twenty-five trips to India. Through these images, the audience viewed unique moments from locations spanning India, including Pushkar, Hampi, and Jaisalmer. Through her novel techniques, attention to beauty, and curiosity about India’s diverse cultures, Jansen portrays her vision through an ethereal, magical, and intimate lens, beautifully capturing light and life. Make sure to experience her perspective of India in the exhibition, View Finders: Four Photographic Voices. Since the late 1960s, Catherine Jansen has been experimenting with photographic processes that merge state-of-the-art technology with traditional photography. Her work is represented in various museum and corporate collections, and she is the recipient of a National Endowment of the Arts Grant and two Cultural Incentive Grants. 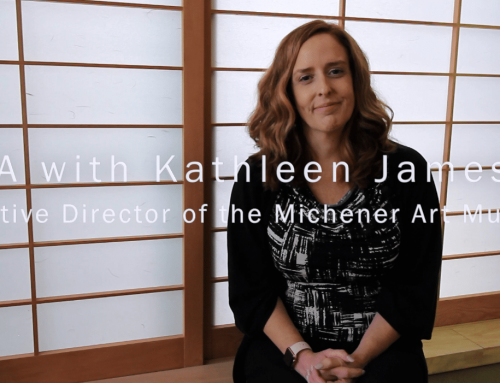 Jansen’s work is currently on view at the Michener until August 26, 2018.